It is a shame to have a nice hotel with a terrible business practice, The way they get you, Is by telling you they will put a hold for you stay, even do you prepaid on line. Then the story is that the hotel did not charge you card because of the tax exemption that foreigners have. But when you try to checkout, an instead of using the credit card on hold, they charge you again. It will take you months before you will get the money back. Excellent hotel with helpful, professional and friendly staff. Highly recommend. Well located in a safe, picturesque part of Buenos Aires. The hotel is a credit to brand Sofitel as well as the Hotel's Manager! We stayed for four nights and were very amazed by the excellent service provided throughout our stay. All the staff were helpful especially silly Gale who had assisted us finding restaurants, shows, transportation arrangements. We are very pleased with the stay. We loved our stay at this new hotel with its friendly staff, delicious food at breakfast and for dinner. We also enjoyed the bar, for example its Wednesday wine cocktails. 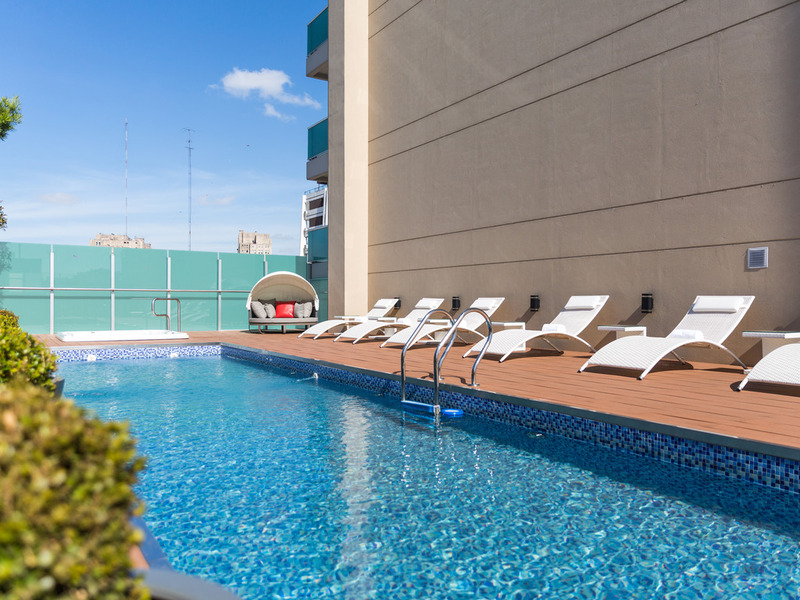 The secluded roof top open air swimming pool was great both to start the day and after a busy time around the city. Spa massage was relaxing. Good location overlooking Plaza Rodriguez and easy to get to places of interest (we walked or took the subte at nearby green line Callao). The hotel being open since 2 weeks, everything was brand new.I recommend particularly the rooms with terrace to the park.The bartender is preparing very nice cocktails and my preferite one is the Negresco.